Many brands "stink on social", and simply getting placed in The New York Times is no longer evidence of PR success, says the company's global director of emerging media. Michael Pranikoff does not mince his words; the marketing and PR industries need to stop the "turf battles" over social-media ownership and understand there is only one guarentee for success: first-rate storytelling. And in the opinion of the former journalist, who has headed up PR Newswire’s emerging media team for 10 years, many of the social platforms run by brands "stink". Speaking to PRWeek Asia in Singapore, Pranikoff says the default response to declining organic reach on social media, notably on Facebook, is to blame changes to the algorithms. But that doesn’t wash with him. "They say Facebook is trying to make a quick buck by changing the algorithms so organic reach declines and people have to pay to increase it, but that is not the truth," he says. "The truth is most people think brands are not providing them with good content—they are just advertising." While there has been an increase in investment across social, Pranikoff questions whether communicators and brands are approaching it from the right angle. A recent study found that only 5 percent of traffic to b2c or b2b websites comes through social, compared to 51 percent through search. For publishers, however, the importance is reversed. Because search is overwhelmingly driven and enhanced by the number of conversations content creates, it is vital great stories are created to drive up engagement and boost rankings, he says. "There are no SEO tricks anymore so PR needs to create conversations around content that people are looking for. Companies and organizations spent a lot of money on social media, but many of their social platforms stink," claims Pranikoff, who spoke to PRWeek Asia ahead of a networking event organized by PR Newswire in Singapore (the video below shows highlights of that event). So why are publishers able to drive traffic from social channels, while brands struggle? Pranikoff says: "The difference is that journalists know how to tell stories. A lot of brands are not very good at doing that in their social channels. "Therefore PR and brands need to help journalists tell the story across social platforms and share it, because that inspires the conversations, which lifts the brands in search and brings audiences to their websites." As someone who works for a company which has traditionally specialized in targeting press release to journalists, maybe these views are not surprising. However, Pranikoff maintains that from a PR perspective it is vital that publications and individual journalists share the stories they have written. If they don’t, then the story "never happened", he argues. "I have a similar conversation with PR people all the time," he says. "They’ll say they got a story picked up by The New York Times. Bravo, but did the Times also share it on its social channel? If not, your story didn’t happen. Did the journalist share it on their social channels? If not, maybe you didn’t do as good as you thought. "If your story is not being shared, you need to re-evaluate. It is no longer enough to get a placement." With the ethos of many of newsrooms shifting dramatically in the last 10 years, moving away from the ‘if it bleeds, it leads’ mentality to one where the focus is on content that will spread on social, the best PR operators understand the need to provide highly visual stories with several multimedia assets, he believes. "A recent survey found that three out four journalists said they felt pressure to make sure their stories were shared on social media," adds Pranikoff. "That should be a wow moment for anybody who is working in PR. We have to try and harder and serve great stories in bite-size pieces on a silver platter. "We need to make sure the content turns up in the right place and in the right format. And to help that I think the PR world has to work a little harder to create the right stories." Pranikoff says the best communicators and brands he works with utilize PR Newswire’s range of pre and post-issue listening and evaluation techniques, video production and multimedia capabilities. Many of these are relatively new additions to the company’s services and represent the changing face of PR in the 17 years since Pranikoff first joined. It was back in 2005 that he started "pestering" the then COO that the company needed to pay more attention to emerging media. Twitter had just launched, and blogs were gaining in popularity and credibility, but he was concerned how little some of the company’s clients were aware of what was going on. "I think they thought it was just a fad, but I was totally geeking out about SEO and I became the go-to person in the company for such matters," he says. "Originally they said they’d like me to be the web 2.0 evangelist, but I asked if we could rethink the title, firstly because I was convinced that two years down the line nobody would be talking about web 2.0, and that came true, and secondly because I couldn’t really go home to my Jewish parents in Florida and say ‘I am an evangelist’." Now based in Washington DC, but spending much of his time travelling, one of the key changes Pranikoff continues to witness around the world is the number of organizations and companies that use PR Newswire’s services for content that goes directly to the audience. If the media picks it up that is a bonus, but it is not the overriding objective. "We have traditionally been seen as a press-release-distribution company, but today we are one of the world’s largest content-syndication companies. We are syndicating more than 400,000 pieces of content a year," he adds. "Much of that content still falls into a press release form, but more and more of it is including multimedia, video, blogs, infographics and images. It is more like content marketing." Many companies are also using the wire to promote their blogs, research documents and white papers, much of which is often buried deep in corporate websites and virtually impossible to be picked up by search. 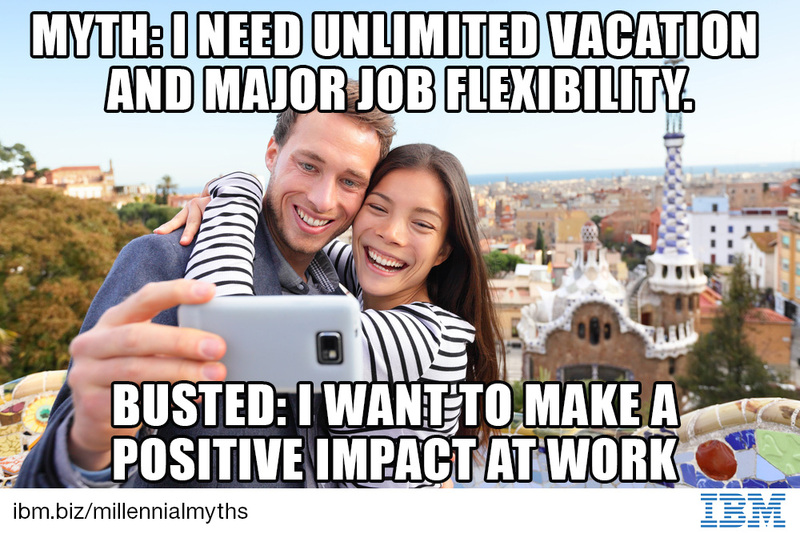 A good example of this was a white paper recently issued by IBM looking at myths surrounding millennials in the workplace. Issued as a multimedia press release, it ticked all the boxes of providing an appealing story to the press, along with a collection of meme-worthy images (one of which is pictured below) which created conversations on social media as they were shared around. "This was far more important because it helped IBM achieve its goal of reaching HR professionals, because that is their client base," adds Pranikoff. So aside from his views on his PR strategies, what does Pranikoff make of the state of the industry in the region? "I think it is a very interesting space. In Asia, it is exciting to see that many brands are seeing what is being done through PR in Europe and the States and they want to be at that level. At PR Newswire that’s why our business is expanding across this region. We now have 11 offices in the region, and in the last five years we have opened up in Singapore, Indonesia and Malaysia." He also sees some of the issues affecting the industry around the world being mirrored in this region, especially around measurement and return on investment. "Success is not around pick-up necessarily, and its certainly not around AVE, which I wish would just go away. Iit is actually about action. So, did my PR inspire my audience to purchase, download and share? We have to measure outbound links and show where they have gone." He also expects there to be significant PR opportunities around mobile-messaging platforms in the region, and particularly Facebook Messenger. While it is not a major player at the moment, he believes the global might of Facebook combined with its purchase of WhatsApp will help drive user numbers. One of the things brands and PR needs to think about is how can it get content on these platforms in a meaningful way and how it can be shared effectively across all of these platforms," he adds. "If you are doing the same things today that you did 15 years ago, then you are failing." "There will be new platforms and new ways of communicating all the time. The only certainty is that just issuing a text-only press release is no longer good enough, he concludes. The full video from the PR Newswire event in Singapore, titled "Blurred lines, finding clarity with your audience in the fight for time and attention", can be viewed here. 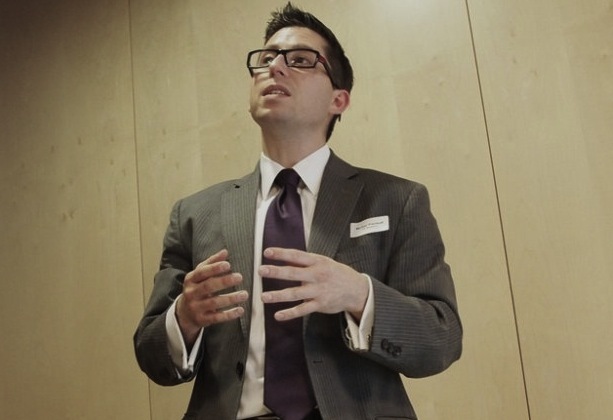 Master Class: How can social media be used to extend the reach of a press release?